NEW YORK CITY - Today we are confronted with two troubling and depressing developments - an attack in Resorts World Manila that left at least 36 dead, and Donald Trump's decision to pull the US out of the Paris agreement. As per the Philippine National Police, in the Resorts World incident, a lone, "foreign looking" gunman was said to have barged into the casino, opened fire and stole chips - before setting himself on fire. The ensuing fire led to intoxicating fumes that suffocated most of the victims. 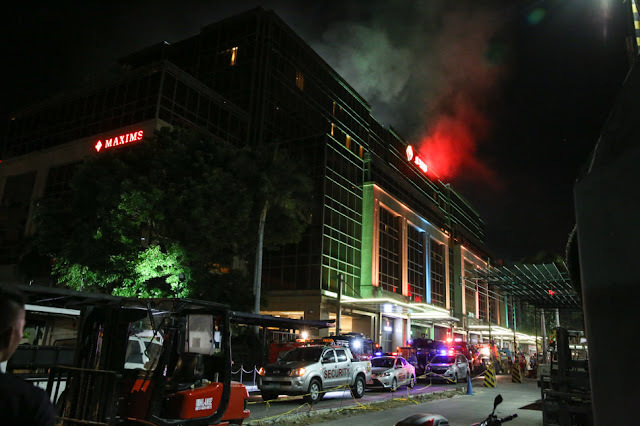 Coming at a time when the Philippines is trying to deal with terrorists in Marawi, and the subsequent declaration of Martial Law in Mindanao, the Resorts World incident has raised anxieties, especially among those who fear that it would be used a pretext to declare Martial Law. Reassuringly, government officials themselves have sought to downplay the development, stressing that it's not and shouldn't be considered a terror attack, let alone an attack from ISIS. But this raises the question: What was the basis for the SITE Intelligence Group - media's sole source for the earlier news - to claim that ISIS is claiming responsibility? How would they define a "ISIS attack" anyway? Given the very consequential nature of news of this nature, we need to ask these hard questions. As a developing story, speculating or raising conspiracy theories is unhelpful, but even so President Duterte should quickly move to calm a nervous nation by giving reassurance that the incident will be dealt with appropriately - without resorting to disproportionate measures. Much will also depend on the level of professionalism of our uninformed services, and of course, our vigilance. Meanwhile, here in the US, Donald Trump just announced that he will withdraw the US from the Paris Agreement. Though long expected from the world's most powerful ignoramus and America's "worst-ever president", it still comes as a sad turn for the planet, given how the US is by far the biggest carbon polluter in history - and Trump has been preaching about "fair share". What should give us reason to hope, however, is the stiff resistance he is facing, both here and abroad; even China has been vocal about its support for non-binding but still very crucial Paris deal. "Make our planet great again", said new French president Emmanuel Macron - fast becoming one of the faces of enlightened global leadership. More reassuringly, American cities and companies are saying that they will stand by the agreement regardless of what Trump says or does. When it comes to our looming - and ongoing - environmental and political crises, I wish that we in the Philippines will have the same resolve.